This line-up faced Tonbridge Angels at Crabble in the Southern League Cup on Wednesday 24th.August 1977, and also Weymouth in the League at Crabble three days later. 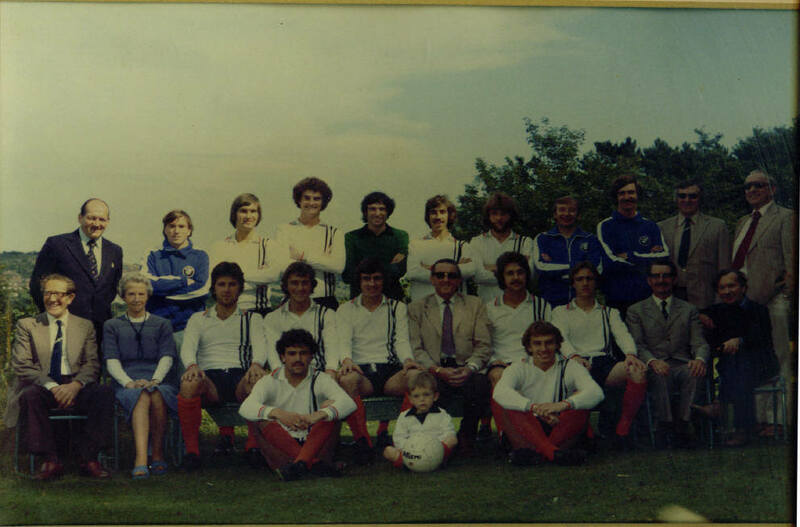 Back row: Alf Bentley(Manager), Pip Harris, Kenny Rogers, Dave Waite, Brian Blake, Alan Brown, Andy Keeley, Robin Thacker(Trainer), Kevin Raine, John Shearn(Director), Tom Scannell(Director). Middle row: Len Dodd(Director), Anne Abbott(Director), Dave Wiltshire, Kenny Reynolds, Peter Brooks, John Ullman(Chairman), Dennis Housden, Bryn Lloyd, John Bushell(Director), Tom Burgess(Director). Front row: Ian Christie, Phillip Brooks(Mascot), Bobby Wilson.